Do you use Instagram for business? If so, you are missing out immensely if you haven’t set up your Instagram business account. The number of people who use Instagram for business purposes has increased dramatically over the years, from just being a social platform for teenagers to now being an important marketing tool for some of the largest brands in the world. In fact, today, there are more than 25 million brands on Instagram. Converting your account to an Instagram business account has many benefits and will save you a ton of time. Ultimately, help you drive better marketing results. There are many reasons you should set up your Instagram business account, and fortunately, that’s exactly what you’ll learn how to do in this article. Most importantly, you’ll learn what it is, and how you can leverage Instagram business account to generate better marketing results. What is an Instagram business account? Instagram business accounts is a type of profile on Instagram, that, when activated, gives you access to an array of new things, as well as changes your profile’s appearance slightly. 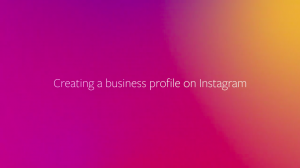 As the name suggests, this type of Instagram account and profile, the Instagram business account is dedicated to businesses and people who are using Instagram for business purposes. 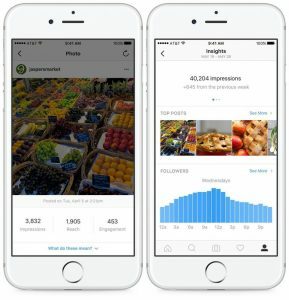 The number of people who are using Instagram for business purposes has significantly increased over the years, and considering that the businesses are the ones that finance Instagram by paying for ads on the platform, Instagram made a number of efforts in making the platform more welcoming for marketers in different ways. It’s not surprising that more and more businesses are using Instagram for marketing purposes, today to the point where many customers expect it from brands that they should be available on the platform. At least not when you consider the marketing results it is able to generate. Marketers are after one thing, and that’s the attention of the consumer, and considering the fact that Instagram has more than a billion monthly active users, Instagram sure has no shortage of it. At the same time, Instagram is a powerful relationship tool which can help brands approach their target audience in a different way, and build relationships and connections, as opposed to shoving ads down their throats. Also, something that has attracted many brands to the platform is the organic reach, which is still considerably higher than most other social media platforms, allowing brands to get results just from organic exposure. Don’t worry, I’ll go more into detail on each of these points further on, but before I do that, let’s dig into how you can convert your Instagram account to an Instagram business account. Make sure that your Instagram app is updated to the latest version. If not, the business feature may not be available for you. After that, go to your Instagram app and tap on your profile photo at the bottom right (profile icon). -Tap the settings wheel icon at the top right of the page. -When you see “Switch to Business Profile”, you can then access “business accounts“. Create paid promotions on Instagram that help you grow your business. Tap the blue button to activate the business account and then connect to your Facebook business page to complete. Lastly, enter all your business contact information. Instagram will also take some information straight from your Facebook page and connect it to your Instagram page. There are tons of benefits to having an Instagram business account, and I’ve already mentioned them briefly. For businesses on Instagram, the business account feature is super helpful as it helps brands perform better on the platform and use the platform in a more effective way to ultimately generate better results. As someone who mainly uses Instagram for business purposes, I cannot emphasize just how helpful this tool is for businesses on Instagram. Back in the days, users had very little opportunities to measure their results on the platform, and everything they could essentially do was to look at their comments, followers, and likes. In other words vanity metrics that don’t tell a lot in reality. But what the analytics feature has done is enable businesses to get much more detailed and thorough information that will help them evaluate their results. 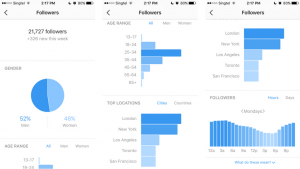 And as you probably know, Marketers love to evaluate results, but in order to do so, they need tools that give them detailed information about their Instagram efforts, and this is exactly what Instagram insights do. Before this feature, marketers either satisfied with the vanity metrics or, turned to some third-party tool to get access to more information about their accounts, however, these tools often cost a lot of money and demanded a third-party application. What Insights does is give your thorough information, for free, all inside the app. If this isn’t appealing to business, I don’t know what is. The Insights feature gives you detailed information about things that you couldn’t see previously. This includes things like your profile’s total visits, your posts total reach, and much more. In other words, features that are helpful for marketers to decide the success of their efforts. A great feature that you get access to when you activate two-factor authentication on Instagram is CTA buttons. These are buttons located in your profile, as seen above, and they are meant to encourage users to take action with businesses on Instagram. The CTA buttons available are call, email, directions, and when a user clicks on one of those, they’ll get to them directly, which makes it easier to take the action they want. There’s also a fourth button you can activate, and this is ”shopping”, but since it plays in its very own category, I’ll go through it in the next point. For a long time, Instagram tried out shoppable posts, which meant businesses could tag the products seen in Instagram posts with the exact same product, so users could click on it and shop immediately. In other words, another feature made to make Instagram more friendly towards businesses, and to make the platform more appealing for businesses to use. 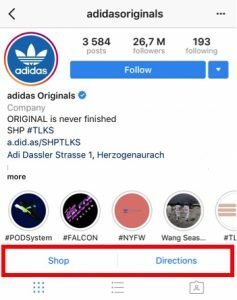 After a long time, Instagram rolled out Instagram shopping for all business accounts on the platform, so this means that if you convert your account to a business account, you’ll get access to this feature. 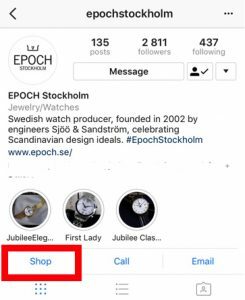 And once you’ve tagged at least 8 posts of yours with products, you’ll get another CTA button in your profile, and that button is ”shopping” which, if users click on it, directs them to a special shopping section where they can shop all the products you’ve tagged in your posts. You’re probably no stranger to the fact that you can create ads on Instagram. Ads on Instagram has actually proved itself able to help brands drive impressive marketing results and generate a high ROI, and so it might be worth giving it a shot. Since Facebook bought Instagram, the Instagram ad setup is the same that is used for setting up ads on Facebook, and therefore, if you’ve created ads on Facebook, you’ll have no problems at all creating ads on Instagram. In order to be able to create Instagram ads, however, you need to have converted your account to an Instagram business account first. You’ve probably seen it a million times, people who share Stories, and then ask you to swipe up on the screen to get directed to a website. Because Instagram is working hard to prevent spam, they’ve made the decision of only making clickable links possible to share in the profile bio of Instagram accounts. For marketers, this is a problem as it makes it harder to sell to users, as they can’t sell with a story, but always have to refer people to the link in their bio, which, of course, creates friction. 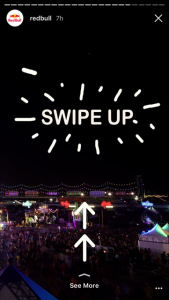 The good news, however, is that with Instagram Stories, you get access to swipeable links, which users can swipe up on and get directed to the website you linked to. This way of linking enables a completely different way of storytelling and selling to users, but you need to have in mind, though, that in order to be able to link through your Instagram Stories, you need to have at least 10K followers. Instagram has set this limit to decrease spam, as the vast majority of accounts that are spamming on the platform doesn’t have anywhere near 10K followers. A more and more people have turned to Instagram, marketers have become increasingly interested in using the platform to reach their target audience. As such, the number of businesses on the platform has grown significantly over the years, and Instagram hasn’t really been ahead when it comes to making the platform a pleasant experience for brands using the platform. 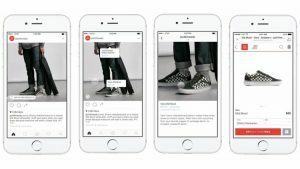 But since the businesses are the ones that finance Instagram, Instagram has made quite some efforts in making the platform more user-friendly to marketers and brands. They’ve done this by rolling out a number of features to give marketers more opportunities to generate great results on the platform. With an Instagram business account, you get access to a number of different features that are extremely helpful to you as a business. These will help you save time and ultimately generate better marketing results. Do you have an Instagram Business account? If so, what do you think about it? Tell us about it in the comments below!